Winter CareLift in fall for winter storage in a frost free area until they can be planted again in spring. 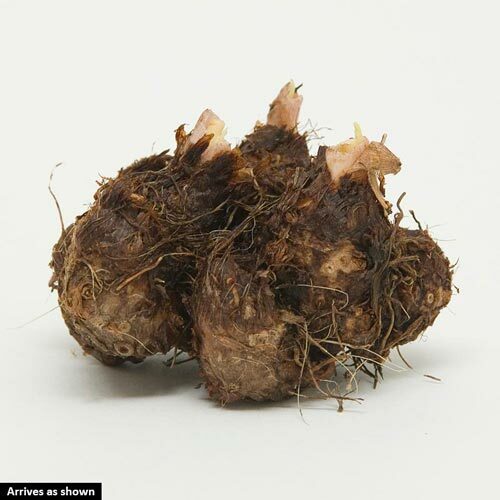 PruningAfter blooming, cut the withered flower at the top of the stem to prevent seed production and then allow the leaves to wither and turn brown before removing them. The green leaves provide nourishment for the plants. 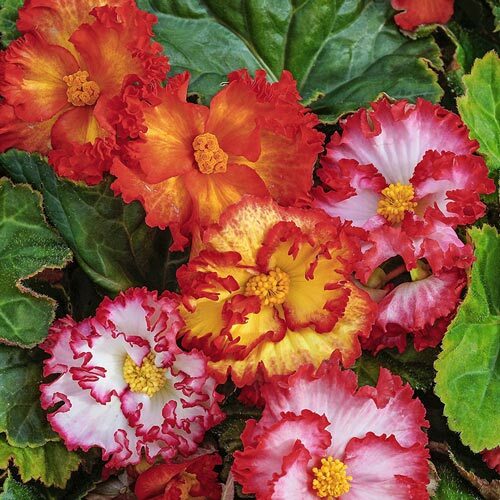 Unique CharactersticsBreck's: A truly spectacular begonia featuring uniquely ruffled petals. 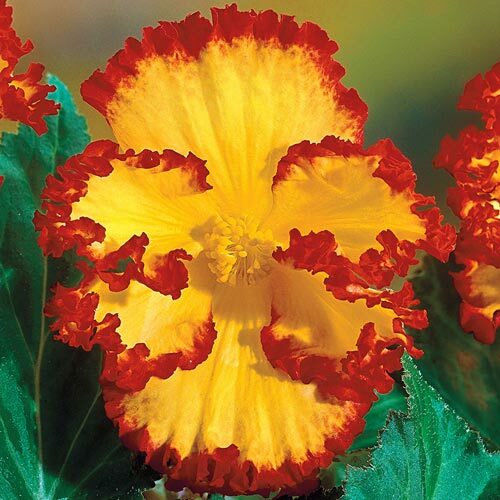 Bright yellow or pure white centers are edged with fiery red. 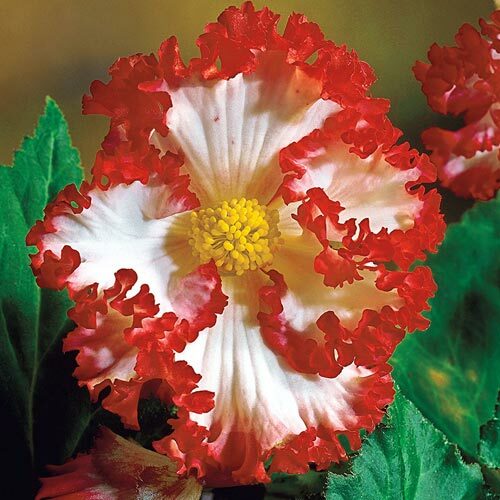 A delicate and inimitable addition to any garden, it is sure to be a point of conversation. Also performs well when featured in containers on patios and porches. Must be lifted in fall and stored away from danger of frost.